W Series windows are often used as vacuum seals in front of the output coupler or in other parts of a system that require sealing of vacuum or high pressure. ZnSe is typically used for this application and can be provided coated or uncoated. 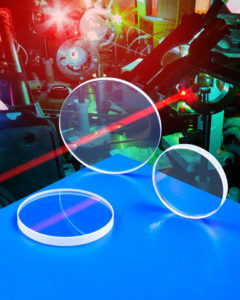 AR coating provides >98.5% transmission and reflection <.25% per surface at 10.6 microns. Absorption values do not exceed .25%. Other diameters, thicknesses and wavelengths are available upon request. *Prices listed are for small quantity orders, for large quantity discounts please Contact Us. A division of Meller Optics, Inc.